PCS is currently exhibiting in the 2018 International Airport GSE Expo in Las Vegas, Nevada. Check out booth# 104 for more information. 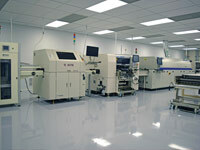 Our headquarters now includes an ISO 14644-1 class 6 clean room for our state-of-the-art circuit board production line. The circuit board production line incorporates both an Automated Optical Inspection (AOI) and a dedicated X-ray machine to verify part placement and solder flo. 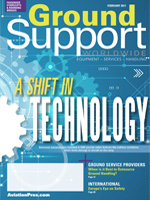 Introducing electronic transmissions and their abuse protection capabilities to the GSE market lands PCS on the cover of the February edition of Ground Support Worldwide. 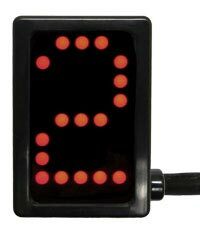 Check out the featured article by clicking the "View Article" button below to learn more about the benefits of switching to an electronic transmission. 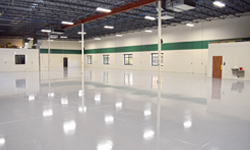 The addition currently includes 2WD and AWD chassis dynos and will soon be the home to a transmission dyno, machine shop and more to better serve our growing demands. PCS is currently exhibiting in the 2016 International Airport GSE Expo. 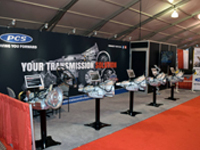 Visit us in booth #305 to learn more about your transmission needs. 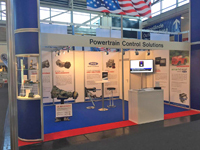 We are all set up and ready to exhibit at this years Inter Airport Europe trade show held October 6th - 9th at the Munich Trade Fair in Germany. 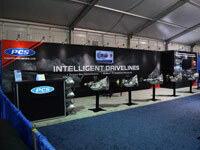 Come check out what PCS has to offer in booth# 1480. We would like to congratulate Oshkosh Defense for winning the US military's contract to build its Humvee replacement. 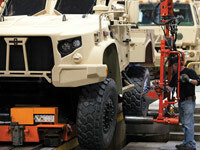 We look forward to working alongside Oshkosh Defense and our military for years to come. 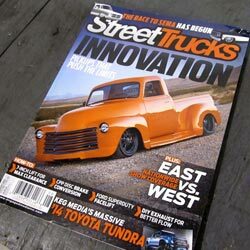 Congratulations to HPI Customs for making the cover of Street Trucks Magazine with their SEMA award winning 52 Chevy 3100. This truck is one of the coolest builds to date. Tyler and Dawn managed to integrate PCS paddle shifters and a push button GSM-5005 shifter into the truck so seamlessly, you'd almost miss them if you didn't know what you were looking for! Great work HPI! 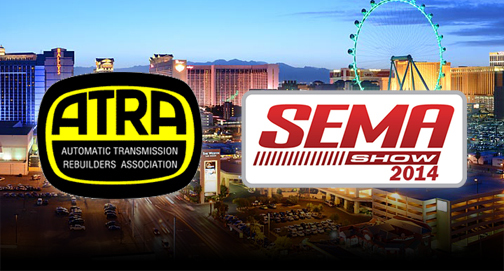 PCS' GM 6-Speed Tuning Software named a SEMA Power Part by the editors of Popular Hot Rodding! In the March 2014 issue, the PHR editors compiled a list of the "46 hot new muscle car goodies you can't live without in 2014." PCS receives award from General Motors. PCS is proud to announce that we have received the "Platinum Supplier Status" award from General Motors. Don't leave yourself out. Grab a copy of the February 2014 issue of "Popular Hot Rodding" and find out how you too can add a Paddle Shifter to your project without changing the trans. The recently unveiled 1930 Cadillac Coupe wasted no time attracting 2013 SEMA Show visitors as well as HOT ROD magazine's, Diego Rosenberg. See what he had to see about the impressive work of Dennis Rostenbach of Roosters Hot Rod Shop. The 2013 Dealer Workshop will be held September 23rd- 24th. These dates are the Monday and Tuesday after ATRA's Powertrain Expo in Washington, D.C. We'll be going over many things that will help you increase your business including the newest applications we have available. This workshop is for dealers only, but PCS is actively seeking new dealers. Space is limited, so act now. Jerry Dixey and the Street Rodder Tour car stopped by PCS for a quick visit and transmission calibration. The Street Rodder Tour car is a 1951 Ford with an EcoBoost engine and a 6R80 transmission. The PCS 6-Speed 4L80 Valve Body earned a runner up spot in the 2012 SEMA SHOW for Best Street Rod/Custom Car Product and has now been recognized as a "TOP NEW PRODUCT" by the editors of Super Chevy Magazine. PCS' GSM5000 Push Button Shifter named a SEMA Power Part by the editors of Popular Hot Rodding! 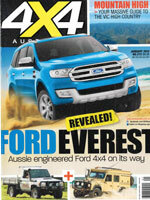 In the March 2013 issue, the PHR editors compiled a list of the "The 41 coolest new muscle car products that you're going to see on shelves in 2013. 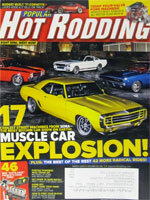 Congratulations to Dennis Rostenbach from Rooster's Rod Shop on getting the COVER of the March 2013 issue of Popular Hot Rodding! Dennis' 1970 Plymouth Road Runner "Bad Bird" features our new GSM2000 Push Button Shifter in one of the slickest installations we've seen.